Award-winning magazine National Geographic Traveller (UK) will be hosting a two-day food festival on 23 and 24 March at Highbury Fields, London. The inaugural event will offer a unique range of dining, learning and drink experiences from around the globe, including tasting kitchens, cooking demonstrations and interviews with top chefs and food writers. Tickets are priced at £18 per half-day. There will be a total of four half-day sessions across two days. 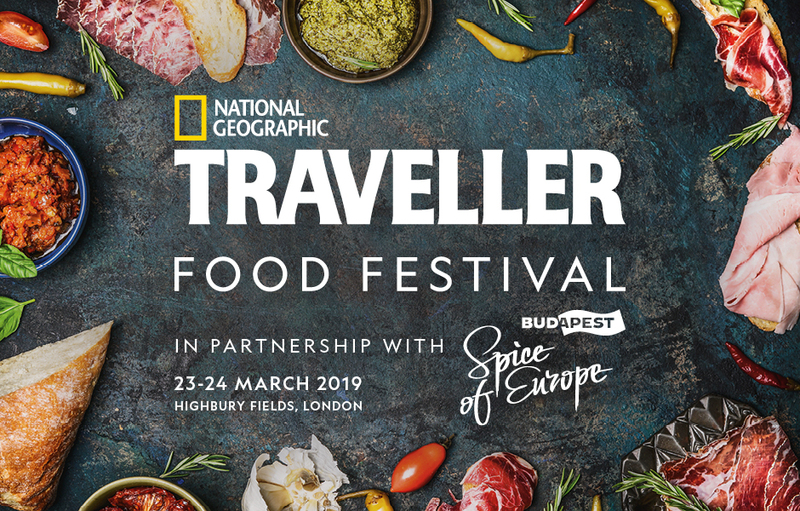 Join members of the National Geographic Traveller (UK) and National Geographic Traveller Food teams as they talk one-on-one with leading figures from the world of food. Whether it’s a top chef, celebrated cookbook author or a leading writer or critic, we’ll find out what inspires the most exciting names in food in our series of interviews, live on the theatre stage. During this year’s event, we’ll be exploring a series of hot topics, from the food trends that are set to make waves in 2019, to the up and coming culinary destinations. Join our live panel discussions with some of the most entertaining chefs, authors and journalists in the world of food, as we get to the heart of the biggest issues. When it comes to food, there’s nothing better than seeing the masters in action, and, in addition to the demonstrations taking place in our exhibition space and in the event kitchens, we’ll be inviting some of the best chefs and cookbook authors around to show their skills in live cooking sessions on our theatre stage. Morning session: 10:00 - 14:00. Afternoon session: 15:00 - 19:30. Tickets: £18 per half-day session and include entry to the festival and all interviews and Q&As, panel sessions and chef demonstrations. This press release was distributed by ResponseSource Press Release Wire on behalf of APL Media (Absolute Publishing) in the following categories: Leisure & Hobbies, Food & Drink, Travel, for more information visit https://pressreleasewire.responsesource.com/about.